As I usually do, I was browsing my Facebook timeline during my lunch break. My friend Carol from Girl Gone Travel is visiting Disneyland on behalf of Expedia ViewFinder. (She’s a travel blogger and this is actually her job! I know…so lucky!) She posted a Facebook Live video straight from Main Street and the cast member she was with had a great Disney trivia question: name ten animated feature films that have one-word titles that were all hand-drawn. That’s right, no computer animation used. Can you guess who knew them all? Yup, this girl! I knew nine of them right away, and had to think about the tenth, but I still got them all. I guess you can say I’ve earned my ears! 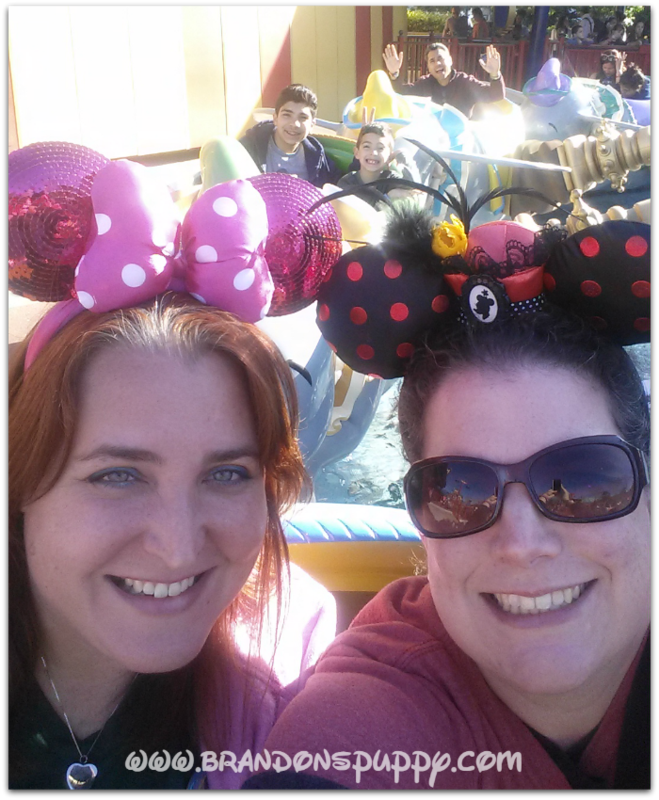 Rachel and I with our long-coveted Mickey Ears! Goes to show that my love for Disney can come in handy at any time, even when I’m on my lunch break! I could tell you what they are, but that would be no fun. So I’m wondering, can you name the ten Disney animated feature films with one-word titles that used no computer animation? Leave your answers in the comments, and I’ll let you know if you’re right! This entry was posted in Disney, Fun Stuff, Movies. Bookmark the permalink. 2 – Um… no… I don’t think I can name the movies. I’ll think about it and get back to you. I love it! Thanks for playing, you are pro! !